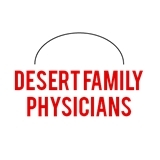 Desert Family Physicians (Chandler) - Book Appointment Online! Cesar M. Rodarte, D.O. started Desert Family Physicians over 30 years ago in the same Mesa, Arizona location he is based today. He has since expanded the presence of our group in the East Valley by working with other providers, offering high quality and affordable family medicine services, and opening a second location in Chandler. We are a bilingual and multicultural practice. Our practice provides high quality primary care medicine to thousands of East Valley residents. With 4 providers and over 100 years of combined experience across our staff, we have a solid foundation to serve your family's primary care needs. If you are a new patient, please arrive 30 minutes before your scheduled appointment. Thank you!